60"x 36" Linear Top, Tapered to the bottom, 18" Height, Unfinished Fire Pit Enclosure. 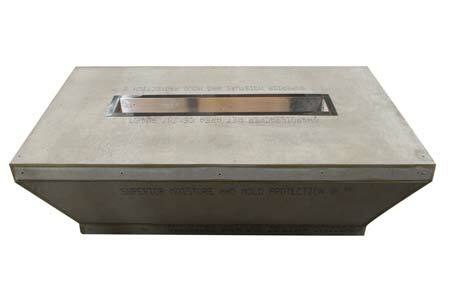 Ready to house a complete 36" drop-in linear trough fire pit. Constructed of sturdy 22 guage galvanized steel material, welded frame and a 1/2" HardieBacker board shell. Complete with cooling vent for the Electronic Ignition Fire Pit. Apply mortar/stone to match your décor and drop in your fire pit kit.